Only a couple days of us reporting about an upcoming update for HTC ThunderBolt owners who are seeing severe reboot issues, we’re now greeted with the leaked version of the aforementioned MR2 release update. Available in an unaltered format and for a magnitude of other custom ROMS, the leaked update is arriving earlier than the expected official one, which is gearing for a roll-out sometime around or after June 15th. Specifically, it’s going to provide improved signal strength, carry along a handy 3G/4G toggle setting, and should resolve those pesky random reboot issues plaguing some handset owners. Even though you can download the leaked update right now, it’s still not certain whether or not it is going to be the actual final MR2 release build. Nevertheless, if you seemingly can’t stand another moment experiencing issues with the ThunderBolt, you can always jump the gun and hope that this leaked update will correct all of your woes. If not, you'll just need to just wait some time until the official one arrives. please do a little research before posting things like this. Any android mod site like XDA-developers has tons of post about how this new radio is causing WORSE reception espically with 4g service. i will be sticking with my gingerbreald alpha. One good thing this has helped from what i have read is for people still running froyo and getting random reboots. 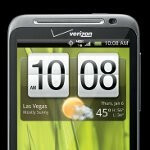 Yea, it's from Verizon so there's a good (putting it lightly) chance it won't work with a rooted phone. Duhhhh! I was at local VZW store yesterday and the manager said the free hot spot promo has been extended to mid July to accomodate newest LG 4G being offerred.